My name is Mason Williams I will be the official Onward Israel Cincinnati blogger for the next 8 weeks. 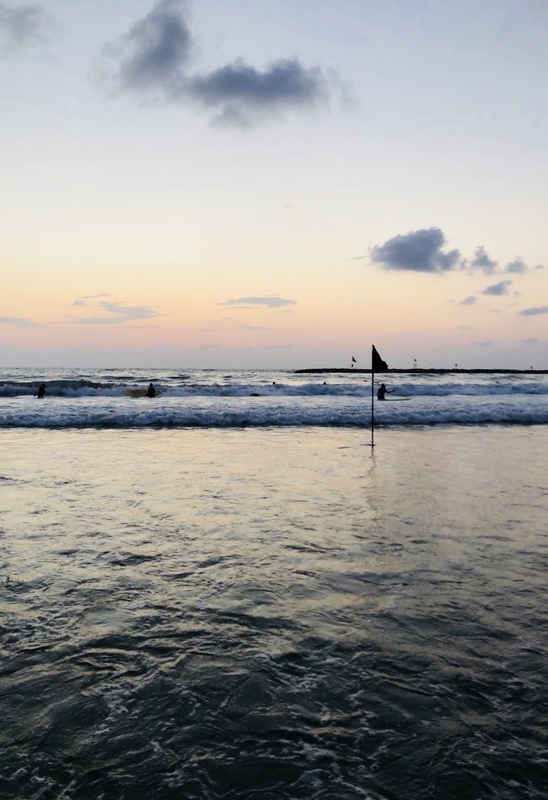 I wanted to start off by saying why I decided to apply for the Onward Israel internship program. At the beginning of 2018 I made the resolution to get out of my comfort zone and to try new things. I thought if I pushed myself to do things I normally wouldn’t that I would have the opportunity to make amazing memories I might not have been able to make otherwise. That’s why I decided to apply for the Onward Israel internship program and to move almost 6,000 miles across the world for two months with a group of people I don’t know. It’s only been about one week but I can already tell I made the right decision. Our program officially started the morning of June 5th. At 9 am, a majority of the group met at the Cincinnati CVG airport ready to make the journey to Israel. 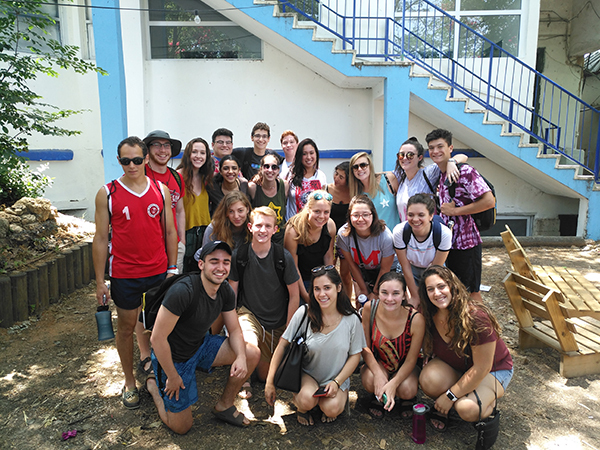 A few members of the group had participated in Birthright and met us once we landed in Tel Aviv. Our group got insanely lucky with all of our traveling and didn’t have a single delay or issue at all with either of our two flights. We even had a decently long layover which was nice because it gave the group some time to get to know one another and bond before we actually got to Israel. Upon arriving in Israel, we were picked up by our trip leader, Niva, at the airport and taken to the BINA headquarters. 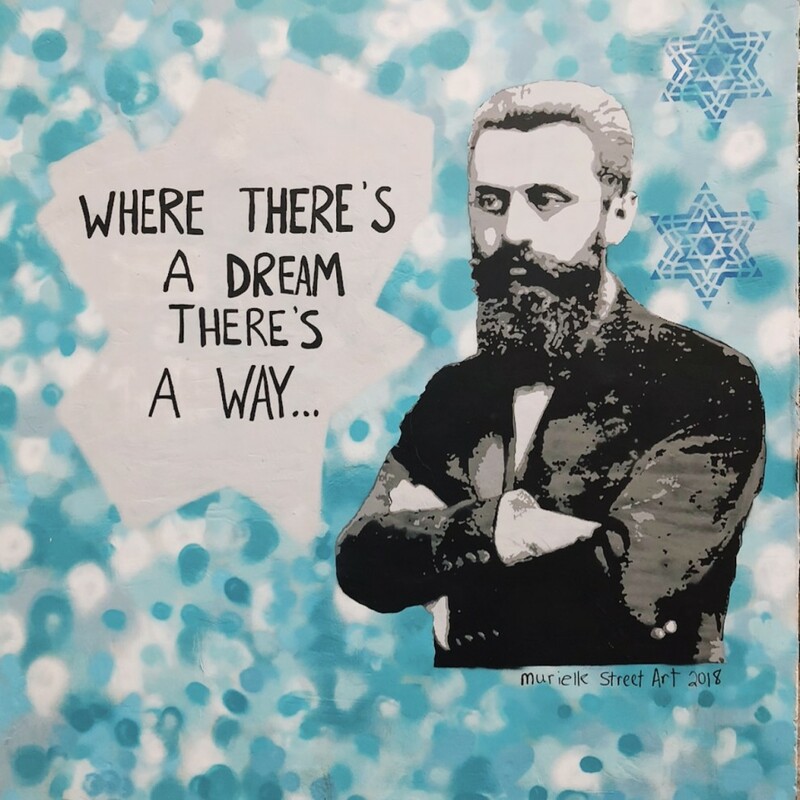 The first few days of our trip were spent at the headquarters where we had orientation and got to learn more about Tel Aviv and the expectations of our trip. The whole 2018 Onward group finally all together on our first day of orientation! 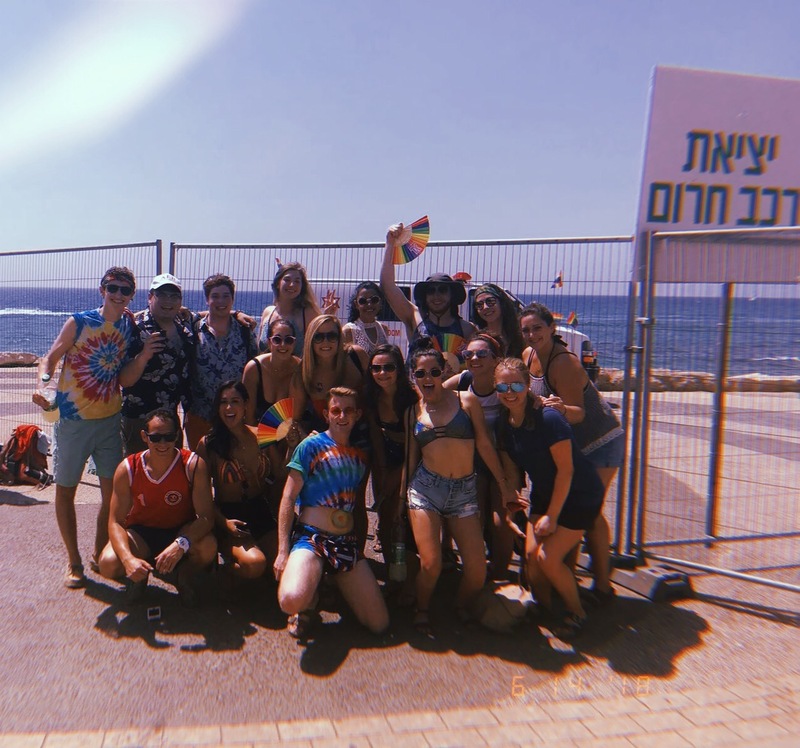 When we finished orientation, the group got dressed up in fun colorful outfits to go to the Tel Aviv Pride Parade and Festival on the beach. 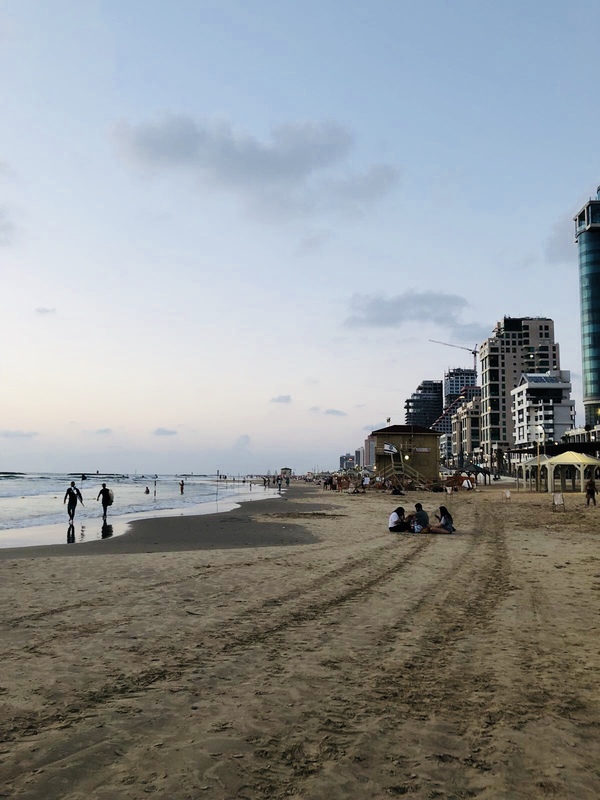 We were all really excited for it because Tel Aviv hosts one of the biggest Pride Festivals in the world and for some of us it was our first Pride Festival ever! There were so many different food options at the festival and all of them were so delicious. All throughout the festival grounds there were different activities to do and places to hang out. There was also a giant tent with a live concert where we spent a majority of our time dancing and enjoying ourselves. Netta Barzilai was one of the performers, which was amazing! She normally goes by Netta and was the winner of the 2018 Eurovision Song Contest for her song, “Toy”. Seeing her perform it live was something every one of us was so excited for and I would say it was the highlight of the Pride Festival for a lot of us. Pride was a really unique experience here and it was such a good way for the group to get even closer and bond by just having fun with each other. Something we all talked about after was how cool it was to see so many different people of all races from all parts of the world come together for love. It was truly such a powerful experience that we all agreed we would never forget. The group at the Pride Festival!! After a great first weekend we relaxed Saturday at the beach. There is a beach just a few minutes walking distance from our apartment. The beach was also the perfect way to unwind and prepare ourselves to start in our positions on Sunday. The view from the beach that is just a 10 minute walk from our apartment. We love being so close to it and go to watch the sun set most nights. At orientation, we were all given bus passes and it was up to us to get to our internships on our own. When the time came to leave for work on Sunday, the whole group was nervous about making it to their office buildings on time and maneuvering around the city on their own. Somehow we all got to our internships safe and sound, and without any mishaps. There were definitely some first day jitters but everyone was looking forward to finally meeting their bosses and learning more about the different companies. Something cool about all of our internships is that we all have different ones across all types of businesses. When we get home from them each day we all talk about the different roles and responsibilities we have. I think I can speak for the entire group and say that were all really thankful to have these opportunities. I know we’ve already learned so much from them and it’s only been one week. It’s been challenging at times but that’s just part of us learning new skills and getting into the groove of our internships. I’m looking forward to sharing more of our fun and adventures this summer! Check us out next week!